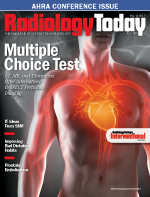 Understanding the true cost of a managed care contract is critical for your radiology practice in today and tomorrow’s environment. Radiologists must take a critical look at the business side of practice to succeed in this environment of tightening reimbursement and any future shift away from fee-for-service medicine. Practices need to focus on evaluating and negotiating managed care contracts to maintain viable revenue. In the past, reimbursement and time to payment always was good enough, so radiologists (like most physicians) took the contract and lived with it. That is not the case anymore. 1. Follow up on denials. As payers seek ways to improve their bottom lines, denials seem to be increasing. Additionally, changes in CPT codes increase the work required to submit claims, so practices must think in terms of more than just dollars when evaluating a managed care contract. Denial rates can be more than two standard deviations higher than the norm, requiring more in personnel time and effort. And if no one follows up on those denials, that money is lost. Your practice and the payer should agree on a specific time frame in which the managed care organization may reject a submitted claim within an average of 180 calendar days completed. 2. Negotiate exam coverage. Additional exams generally are not covered, so your practice needs to negotiate these exams into the deal before finalizing the contract. 3. Understand preexam requirements and paperwork for authorizations. It is important to prove that your practice uses clinical decision-support software on exam appropriateness. This can be expensive and time consuming since it requires employing personnel to handle these tasks. Integration of decision-support databases decreases the need for preauthorization. 4. Validate claims submission. Since 2010, when the revised set of HIPAA electronic transaction standards was implemented, certain carriers’ claims acceptance rates have been inconsistent. As a result, more claims end up “missing as never received.” This is costly because personnel are required to research and resend the claims that need to be paid. Your practice needs to have an electronic submission and validation of the claims received. 5. Evaluate negotiated rates. While your practice may negotiate a great rate, health savings accounts and other high-deductible plans lead to increased debt. A contract loaded with too many requirements can lessen the financial impact of what seems like a reasonable payment rate. For example, your practice may agree on an acceptable rate, but after all of the staffing and authorization requirements from the managed care organization, the rate may end up being 70% of what your practice was anticipating. A system needs to be in place to analyze those costs and figure them into the contract negotiations. 6. Pursue copayments and deductibles. As the cost of health care increasingly shifts to the patient, up-front and accurate payment collections are more important than ever. Attempting to obtain copays and deductibles after a patient’s visit and processing refunds are incredibly labor intensive and expensive. The perfect time to collect copays and deductibles is at the time of service, although federal requirements indicate that any refund processing must occur within a 60-day period. If there is a deductible and fixed-dollar copay, make the collection effort at the time of check-in. If there is a percentage copay and the practice is uncertain of the potential fees for the patient’s visit, collect a percentage at checkout. Doing so is critical to maximizing the collection of dollars on the front end of the revenue cycle. Do not hesitate to look for simple and trustworthy information that can help you in your negotiations. There is a wealth of information on the ACR and Radiology Business Management Association (RBMA) websites. In an effort to assist ACR and RBMA members in their interactions with private payers, the ACR Managed Care Committee and RBMA Payor Relations Committee developed the contract evaluation tool for identifying important items to be considered and reviewed when evaluating and negotiating contracts. Another great resource is the ACR’s Best Practices Guidelines on contracts (http://gm.acr.org/SecondaryMainMenuCategories/BusinessPracticeIssues/FeaturedCategories/Contracts.aspx), which offers insight on everything from understanding the basics of contract exclusivity to a contract check list. Although various types of contracts and contractual terms may confuse radiologists, using these tips and tools will help to establish the best managed care contract for your practice. — Taylor Moorehead is a regional partner for the west region of Zotec Partners, which specializes in medical billing and practice management services for the hospital-based specialty market.